Citing a new poll his campaign commissioned, Republican gubernatorial candidate Randy Brock argued Saturday that his bid to depose Democratic Gov. Peter Shumlin is gaining traction. Brock's campaign released partial results of a survey conducted last Thursday by Ohio-based, Republican pollster Fritz Wenzel showing that likely voters favor Shumlin 46 to 41 percent. Eight percent favor three other candidates and 5 percent are undecided, the poll found. The automated survey of 520 Vermonters has a margin of error of plus or minus 4.3 percentage points. "It's a close race," Wenzel said Saturday. "Obviously Shumlin has the advantage going into this last weekend. Clearly people are open to considering change. It fits with everything else I'm seeing in polling I'm doing all over the country. People are not satisfied with the status quo." Democrats favor Shumlin 74 percent to Brock's 19 percent, with 3 percent undecided. Republicans favor Brock 82 percent to Shumlin's 11 percent. Independents favor Shumlin 43 percent to Brock's 39 percent. Men favor Brock 49 percent to Shumlin's 38 percent. Women favor Shumlin 56 percent to Brock's 34 percent. 59 percent of those surveyed have a favorable opinion of Shumlin, while 35 percent have an unfavorable opinion. Six percent say they don't know enough about him to say one way or the other. 50 percent have a favorable opinion of Brock, while 29 percent have an unfavorable opinion. 21 percent say they don't know enough about Brock to say. Okay, now that we've thrown a bunch of numbers at you, let's take a step back and look at a few reasons you should be skeptical of this survey. The Pollster — This survey was not conducted by a nonpartisan polling institute or commissioned by a media organization. It was paid for by the Brock campaign, which is clearly trying to prove their candidate is still in the game. Wenzel Strategies is a Republican-leaning polling outfit whose clients include Citizens United and the Family Research Council. Wenzel himself has a bit of a checkered past. More importantly, Wenzel's surveys appear to skew toward Republicans. As Talking Points Memo reported Thursday, Wenzel's latest poll of the presidential race in Ohio had Mitt Romney up three points, while most other polls had him down a few points. More problematic, TPM's Josh Marshall writes, Wenzel's Ohio poll showed Romney with a net favorability of 22 percent, while most pollsters believe his favorability and unfavorability ratings are about even. The Timing — The Brock poll was conducted in a single night. Typically, pollsters stay in the field for several days, so that they can attempt to reach a given voter multiple times. Castleton Polling Institute director Rich Clark says he typically attempts to reach each randomly-selected respondent seven times before giving up. "It has to do with how satisfied you are with something more closely approaching a convenient sample, rather than a truly random sample," he says. "One night in the field just doesn't give a whole lot of options for anybody who's out." The Method — Wenzel says his survey relied upon automated polling technology. Though most of the nation's top polling organizations conduct live interviews with respondents, Wenzel says, "I believe automated calls are more accurate than live operators, especially closer to Election Day, because every respondent is receiving the same exact message in the same intonation." Clark says there are advantages and disadvantages to both, but he believes live interviews "make sure we're understanding what their intended response is. I don't think there's any way you can put that judgment into a voice-activated response system." The biggest problem with automated polling is that it excludes those without landlines, thanks to a federal law prohibiting robo-calling cellphones. Roughly a third of the nation's population use cellphones exclusively — typically younger people and minorities. As New York Times polling guru Nate Silver has written, "Potential voters who rely on cellphones belong to more Democratic-leaning demographic groups than those which don't, and there is reasonably strong empirical evidence that the failure to include them in polls can bias the results against Democrats, even after demographic weightings are applied." The Sample — Neither the Brock campaign nor Wenzel would release the full results of the poll, so it's difficult to pinpoint precisely how they arrived at a representative sample. According to Wenzel, he simply relied upon respondents to self-identify whether they planned to vote and included the responses of those who said they were "somewhat likely" or "very likely" to vote. In order to put these results in context, it would be helpful to compare them to a poll conducted by a nonpartisan organization. Alas, the Castleton Polling Institute is sitting this one out, Clark says, while media outlets like WCAX-TV and Vermont Public Radio have not commissioned polls during this year's general election. The last nonpartisan poll of the race came out in August, just before the primary. This also isn't the first time the Brock campaign has released selective polling results in an effort to counteract media skepticism of his chances. Three and a half weeks ago, Brock said during a Statehouse press conference that a poll conducted by his San Francisco-based consultants — Dresner, Wickers and Associates — showed the race was "a dead heat" among those who had seen his TV ads. 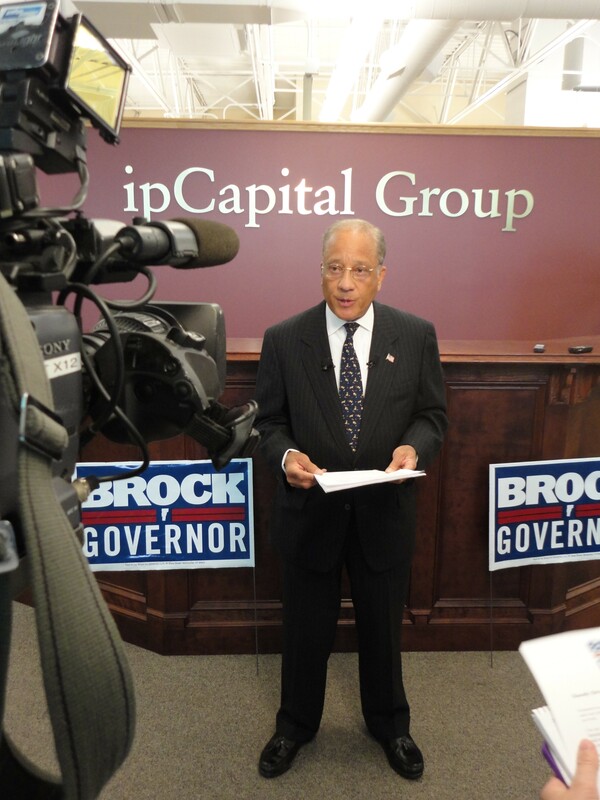 Among those who identified themselves as "highly interested," Brock claimed at the time, Shumlin was winning by ten. Brock's campaign refused to release any further information about that poll. Shumlin campaign manager Alex MacLean says her candidate has not polled the race, but that the Vermont Democratic Party conducted a poll three weeks ago. She declined to disclose those results. "I don't discuss internal polling," she says. "All I'll say is we remain confident that the governor will be reelected Tuesday."